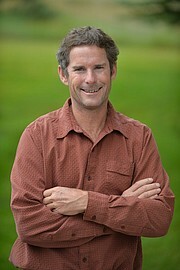 A resident of Steamboat Springs since moving the offices for Paddler magazine to town in 1992, Eugene Buchanan has written about the outdoors for more than 20 years, from working the Beijing Olympics for NBC to writing for ESPN.com. A business/economics graduate of Colorado College, where he captained his NCAA lacrosse team, the former ski patrol, kayak instructor and sea kayak and raft guide is also a former business reporter for the Denver Business Journal and media director of the World Pro Mogul Tour. He also enjoys a successful freelance career, with articles published in The New York Times, Men’s Journal, Sports Afield, Outside, National Geographic Adventure, 5280, Forbes Life, Skiing, Powder and other publications. A member of New York’s Explorer’s Club, his passion for traveling, writing and paddling has taken him to more than 30 countries on six continents. His first book, “Brothers on the Bashkaus,” was released by Fulcrum Publishing in 2007; his second book, “Outdoor Parents, Outdoor Kids,” was released by Heliconia Press in 2010, winning the gold medal from the Living Now Book Awards. He lives with his wife, Denise, and two daughters, Brooke and Casey, just a block away from the Yampa River.